Has the Prometheus Sequel Changed Title Again? Back in September, director Ridley Scott revealed that the upcoming Prometheus sequel had undergone a title change and would actually be known as Alien: Paradise Lost. That appears to have changed again, however, as Indiewire (via Cinema Blend) was present for an extended conversation with Scott at the AFI Film Festival where the director revealed that the slow-burn process on the sequel lead to him directing The Martian, in addition to dropping a different title for the film. It remains to be seen if Alien: Covenant will be the final title for the film or if more name changes are in order, which is possible since the film isn’t set to be released until 2017. 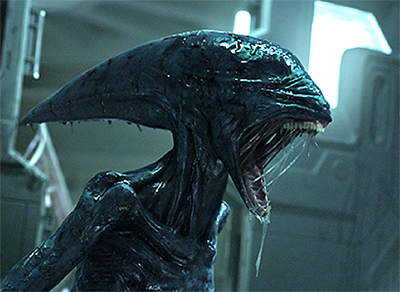 Production on the Prometheus sequel/Alien prequel is set to begin in February of 2016 in Australia, with Noomi Rapace and Michael Fassbender set to reprise their roles of scientist Elizabeth Shaw and the android David, respectively. Jack Paglen (Transcendence) and Michael Green (Green Lantern) are providing the screenplay.